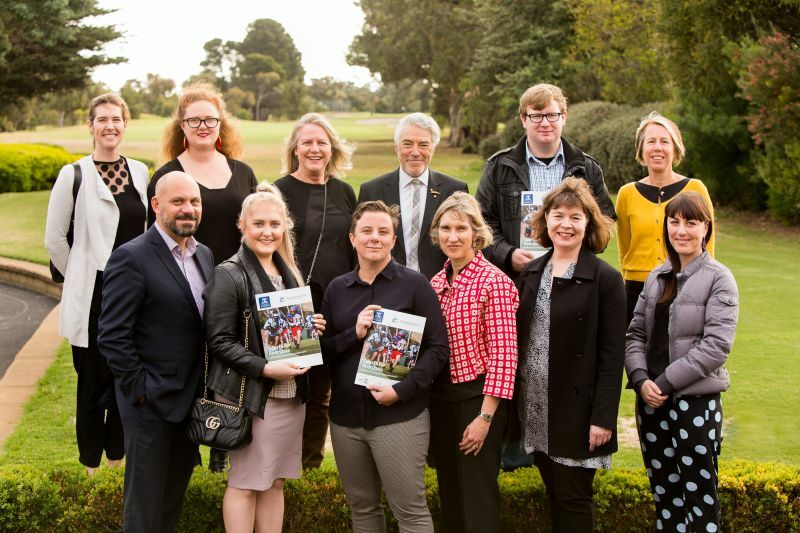 A project aimed at helping young people of all abilities participate in sports has won the 2018 University of Melbourne award for Excellence in Engagement for teaching. The Inclusion Project Partnership focuses on 12-18-year-olds with diverse backgrounds and circumstances, particularly those with disabilities, and involves local council, community organisations, businesses, sporting clubs, young people and their parents. The project—made possible by a three-year partnership between the University of Melbourne and Hobsons Bay Community Fund, now in its final year—established a new kind of community-based placement for social work postgraduate students. Working out of a local real estate office the students consulted parents, sporting clubs and disability workers to develop strategies and produce a guide for the inclusion of young people with mental or physical disabilities in sporting clubs. University of Melbourne Deputy Head of Social Work Professor Lou Harms says just more than half of primary school aged children are involved in sport and recreation clubs, but this rate falls in high school and later teen years. “Exclusion is usually unintentional, based on what is unfamiliar or misunderstood about a person’s abilities, needs and preferences,” Professor Harms said. Each year the University celebrates the work of its staff through the Melbourne Excellence Awards. These awards recognise the outstanding achievements of academic and professional staff in the key areas of research, teaching, engagement, professional excellence and strategic priorities. “We are thrilled to be awarded this honour. It also represents a change in the way results can be achieved when groups work together for a common cause; in this case, the health and well-being of young people in the west,” Professor Harms said. More than 20 local sporting and recreation clubs participated in the project, including football, soccer, netball, basketball, lawn bowling, lacrosse, rugby, Minecraft (computer gaming), pool competition, baseball, sailing, surf-lifesaving, swimming, table tennis, karate and fishing. Over the three years 18 postgraduate students have contributed to the project. Hobsons Bay Community Fund is a sub-fund of the Australian Communities Foundation that provides financial grants to community groups and organisations operating in the Hobsons Bay municipality. The partnership with the Fund forms part of the University’s Engaging Melbourne’s West program which aims to advance prosperity, health and equity in the region. The guide the students produced, Sports for Everyone: A Guide to 360° Inclusion for Young People in Sport, is available online and will continue to be updated.